This offer entitles the client to a colour and blow-dry with a Salon Support student(s) at Servilles Academy Salon for the price of $35. To redeem this offer you must book between Tuesday 9th April and Friday 24th May. Bookings are essential and subject to availability. You must mention this offer when booking. This offer can only be redeemed with selected Salon Support students at Servilles Academy Salon between the times of 9:30am – 12pm Tuesday – Friday . Colour service includes semi, tint and T-section highlights. Additional costs may incur for extra product (i.e. thick or extra-long hair). Any additional services requested will be at the client’s expense. This is not available for use in conjunction with any other offer. 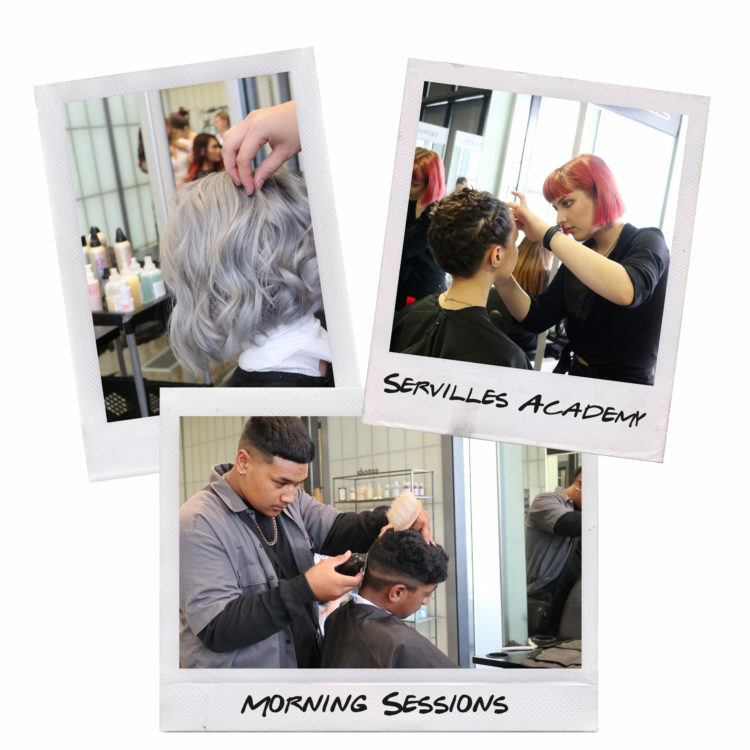 This offer entitles the client to a trim, treatment and blow-dry with a Salon Support student(s) at Servilles Academy Salon for the price of $20. To redeem this offer you must book between Tuesday 9th April and Friday 24th May. Bookings are essential and subject to availability. You must mention this offer when booking. This offer can only be redeemed with selected Salon Support students at Servilles Academy Salon between the times of 9:30am – 12pm Tuesday – Friday . Additional costs may incur for extra product (i.e. thick or extra-long hair). Any additional services requested will be at the client’s expense. This is not available for use in conjunction with any other offer. Want the whole package? Treat yourself to a makeover by our talented Level 3 and Level 4 makeup students, who are located at our building right next door. For the gents… Don’t forget our on-going ‘$10 Barber Cut Fridays’! Get a fresh barber cut in time for the weekend, every Friday at our Academy Salon. To book in, call our Academy Salon on 09 308 0670 or find us at 8 Canada Street, Auckland.